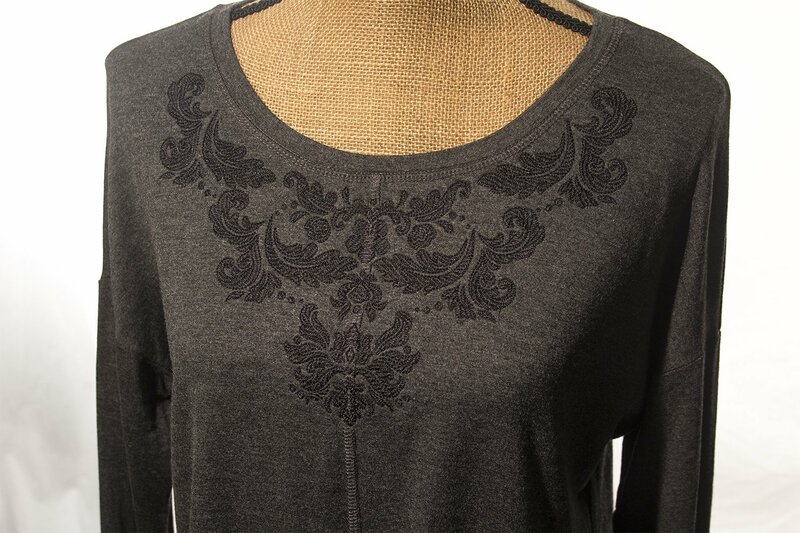 Learn how to successfully embroider a knit garment while creating an elegant top. You will embroider on your own t-shirt or other knit top (with a round or scoop neck) while learning how to properly stabilize, align, and hoop a knit garment. Bring in your sewing machine with embroidery module, large oval hoop, sewing notions, and #26 foot, thread and t-shirt. Bring in your USB to save the instructions and design. There will be a $4 kit fee which includes the stabilizers.